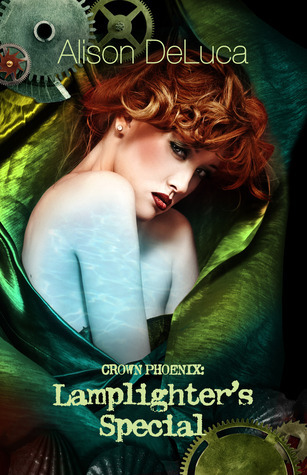 We invite everyone to fall into Alison DeLuca’s incredible steampunk world with today's blog tour to highlight the three books of the Crown Phoenix series: The Night Watchman Express, Devil’s Kitchen, and The Lamplighter’s Special. 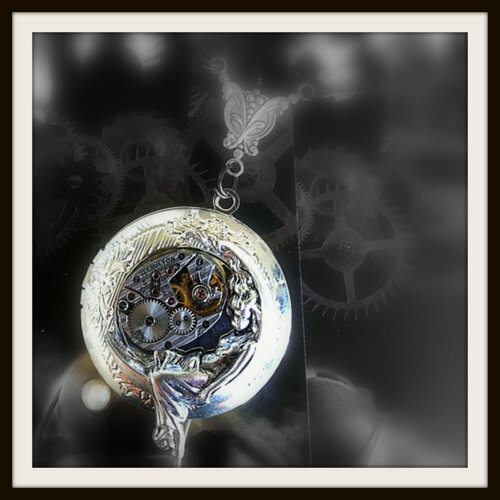 We share our thoughts on the first book and there's a fabulous giveaway readers can enter (steampunk jewelry and a Kindle Fire!). Miriam has only her guardians' son for company, and she and Simon dislike each other from the start. But they must find a way to trust each other, or they will end up on the sinister Night Watchman Express. Full of danger, suspense, betrayal, and a hint of romance, this steampunk adventure is for readers of all ages. In The Night Watchman Express, Miriam and Simon were kidnapped and thrown on the strange train... Now in Book Two of The Crown Phoenix series, they arrive at the terrifying destination known as Devil's Kitchen. There they will face human experiments in a laboratory known as The Infirmary. Miriam will be forced to work in an underground factory. And their courage will be tested to the breaking point. Lizzie and her sister are forced to work in a huge manor and on a steamship to support their family. And Lizzie discovers that she has a strange, new ability. She and her sister must discover the secrets of The Lamplighter’s Special before their enemy catches up with them. Alison DeLuca grew up on an organic farm in Chester County, Pennsylvania. Her parents were British, so in the summers she went to stay with her grandparents near Dublin. After graduating from West Chester University, Alison became a teacher of English and Spanish, teaching students from kindergarten up to college level. She loved teaching, and it was with reluctance that she left the classroom to be a fulltime mom when her daughter was born. While she was teaching and raising her daughter, Alison took every free minute she had to write. 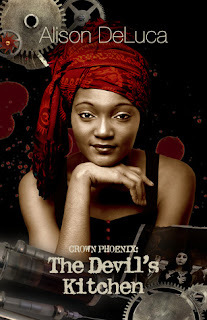 The Night Watchman Express and The Crown Phoenix Series were the result. 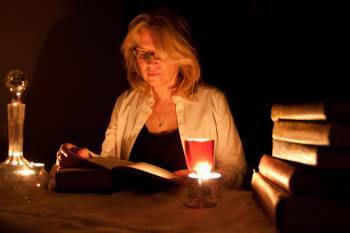 She is currently working on the fourth and final book in the series, as well as several other projects. 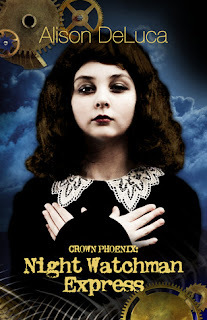 The world Alison DeLuca creates in Crown Phoenix: Night Watchman Express is a highly imaginative one. She expertly captures the Victorian time period adding lovely flourishes to her descriptions and settings while tucking in discrete comments on the mores of society. This fast paced YA steampunk novel keeps readers of any age turning the pages with a mix of entertainment, mystery, and more as we meet freshly orphaned Miriam, now thrown into the care of guardians, the Marchpanes, who only wants control of her sizable inheritance. The Marchpanes relegate Miriam to the attic and hire a mysterious nanny, Mana, who charms everyone in the house. As we wonder exactly who Mana is since everyone seems to have an agenda in this story, she is abducted, and Miriam along with her guardian's children, Simon and Neil, travel on the Night Watchman to find their nanny. Crown Phoenix: Night Watchman Express is a highly entertaining introduction to DeLuca's series and reminded me of Lemony Snicket and Mary Poppins but has so much more to thrill readers of the steampunk genre. Alison DeLuca's writing is downright gorgeous and quirky which is a perfect mix in steampunk and this novel delivers. I recommend this charming tale to anyone who wants an evening (or any time period) of fun, insightful reading. You know, I've never read a steam punk book! I usually stick to contemp stuff. Am I missing out? It sounds awesome!